There is a pleasant sound and appetizing smells when we step into the kitchen, providing someone is there cooking food. If things like this happen in an empty kitchen, it is time to get alarmed. Fermented liquid containing in most cases carbon dioxide gas made from malted barley and cereals is termed beer. Industrial production of beer envisages the large-scale production of this liquid. 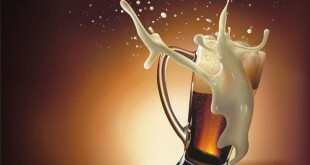 Beer, in terms of popularity as a drink, is third in the world. It only lags behind water and the ever-popular beverage tea. 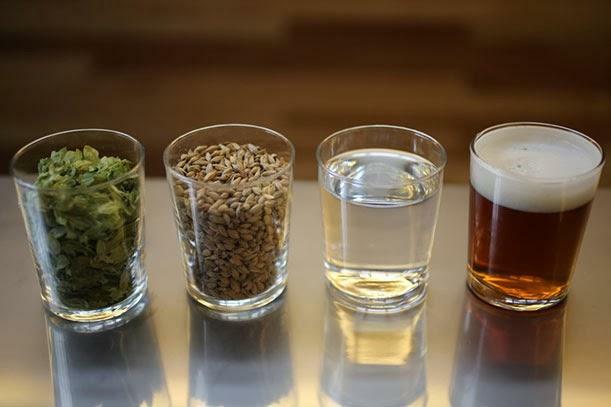 Wheat, rye and barley are the material commonly used for the preparation of the malt. For this one has to allow the cereal to germinate. Addition of the enzymes to the cereal grains takes place next. Saccharification of starch needs the presence of enzymes. In this, the conversion of starch to sugar takes place. Lovely things happen when the colors of the sunshine and feel of the breeze accompany you wherever you go. Good beverages are like that; they make your every sense appreciate those things that matter in life. Fermentation happens now. The final color of the beer will depend on the amount of roasting the cereal grain is given. It all begins with the crushing of the grains in a mill. This increases the surface area and thus enhances the brewing process. The smaller pieces of husk separate from the grist and mashing takes place. Mashing consists of adding hot water to the grist and this takes place in the mash tun. Temperature rests take place during the mashing period of about 2 hours. These temperature-rests help to release the enzymes that are instrumental in converting the starches to dextrines and subsequently to sugars like maltose. The sugars now undergo fermentation action by the yeast. Higher resting temperatures will create higher types of sugars while lower resting temperatures will produce lower types of sugars. Lower types of sugars undergo conversion easily by the yeast unlike the ones at the higher end of the scale. By resting the mash at higher temperatures, one will obtain beer with more sugar and less alcohol content. One has to pump the mash now towards the filtration zone. Lautering happens inside a lauter tun. Here the liquid separates from the grain and escapes through the false bottom provided in the tun. This liquid or the wort goes to the kettle for cooking. Addition of hops, sugars or fruits takes place here to enhance the flavor. Hops are added mainly for their worth as preservatives. However, they are bitter and the bitterness one sees in beer is because of the hops. During the boiling, the enzyme action ceases, hops convert to isomers and proteins precipitate out of solution. Addition of sugar or fruit takes place as per the requirement. Carbonization is the process whereby carbon dioxide addition in the beer takes place in stages. Certain beers continue fermenting and carbonization in the bottle. This can only happen if there is sugar present for fermentation. The final step in the boiling is the cooling process. Spinning the dense solid vegetable matter and hops present in the liquid helps the sedimentation and solids escape from the liquid through the cone present in the center of the tun. The floor is slightly sloped to ease the liquid towards the exit. There are many shady deals going on below the table, and occasionally I drop to the floor and have a look. It helps me stay fully informed. Wort, which is hot, has to now cool for the next stage. The hop filtration effectively removes all suspended matter from the liquid. Heat exchanger plates helps one to achieve this end. The plates have ridged structure with alternating paths for two fluids. One fluid is the hot wort. The other is the cooling liquid usually water. The effectiveness of the heat exchanger can be seen in manner the wort loses heat and the temperature lowers to 17˚C from 92˚C while the water increases in temperature from 9˚C to 81˚C. Cooling reduces the potency of the yeast and so they send oxygen through the wort. Yeast now metabolizes starch into alcohol. In addition, there is a significant amount of carbon dioxide produced. This gives the beer its frothy appearance. This process takes place in stainless steel tanks. After fermentation, the beer is conditioned. A bung device stoppers the tanks. The carbon dioxide produced naturally carbonates the beer; one can increase or decrease the amount of carbon dioxide by adjusting the pressure of the bung device. The beer is now around freezing temperatures. The proteins coagulate and settle with the yeast. Phenolic compounds are insoluble at lower temperatures and this increases the flavor of the beer. However, if the pressure drops, the beer will go flat. Filtration is not a necessity though filtered beer looks sparkly and shiny to look at. Rough filtering with Kieselguhr filters result in cloudy beer. Sterile filters remove all microorganisms from the beer. Fine filters could sometimes remove the color from the beer and alter the body considerably. Packaging takes place in kegs, barrels or tanks. The beer leaves the factory or refinery in this manner. Most of the refineries include bottle packaging, as this is convenient to store as well as transport. The best things in life deserve the option of being kind, of being loving and of showing an innovative approach. To the door, I mean, one normally does not have the urge to contact one’s friends, acquaintances bar waitresses, and curtains on the way, but when one is in high spirits, anything is possible.